The Chicago Symphony Orchestra family joins the music world in mourning the death of Karel Husa, the eminent Czech-born composer and conductor. He was 95. Husa was the recipient of the Pulitzer Prize for Music in 1969 for his String Quartet no. 3, and he was awarded the Grawemeyer Award for Music Composition in 1993 for his Concerto for Cello and Orchestra. The Orchestra first performed Husa’s Music for Prague 1968 under Sergiu Comissiona in April 1973 and again in December 1986 under Erich Leinsdorf. 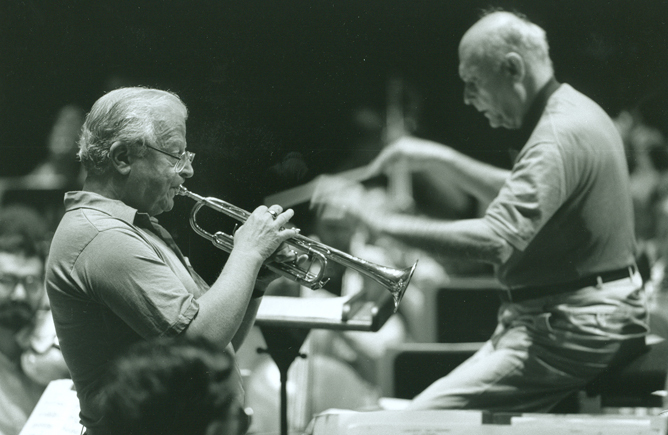 To celebrate Adolph Herseth‘s fortieth season as principal trumpet, the Chicago Symphony Orchestra commissioned Husa to write the Concerto for Trumpet and Orchestra. 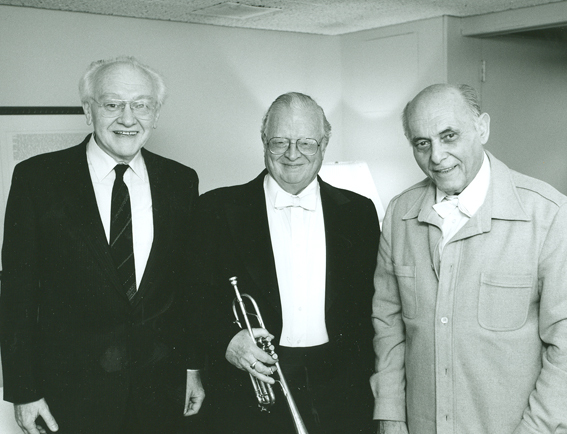 Under the baton of eighth music director Sir Georg Solti, Herseth was soloist in the world premiere at Orchestra Hall on February 11, 1988. The Orchestra also performed the work multiple times during the first tour to Australia later that same year (details of the tour are here and here).